We are elated to announce that we are releasing our new album ‘Strange Wave Galore’ on January the 30th at De Effenaar. 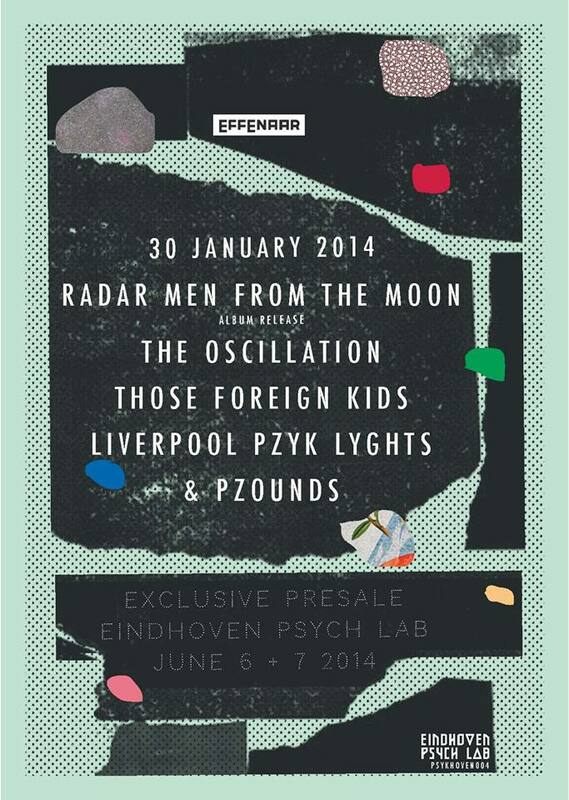 This event is also the official pre-sale party for Eindhoven Psych Lab, a new international festival of psycedelia. We are going to curate a Fuzz Club Records stage at this festival on June 7th! EINDHOVEN PSYCH LAB is a new European festival, located in the Netherlands and established to explore and showcase the futuristic sights and sounds of the modern psychedelic condition. Frontiers must be explored, crossed and questioned. In order to do so, we need researchers, exploration and arenas to perform such interrogations: audio laboratories. Eindhoven has a long and proud history in challenging industrial, scientific and musical boundaries. EINDHOVEN PSYCH LAB will be a celebration of 2014’s buoyant global psychedelic underground, set in this historic creative context. It will explore psychedelia in its most trance inducing and progressive form, via the mediums of visual art, design, science and of course: music. We hope you will join us on 6/7 June 2014.